Top river angler Dave Harrell has been answering some of your most burning questions. Take a look at see what you can take out onto the bank with you this weekend. Q) Which is the best sort of feeder for chub fishing in the winter? I’ve got blockend and open-end but I am never sure which to use. A) I would go down the blockend route with maggots while it’s cold. Chub love maggots, and if they’re hungry they won’t be able to resist! Use a long tail of around 3ft to 4ft if bites are slow. 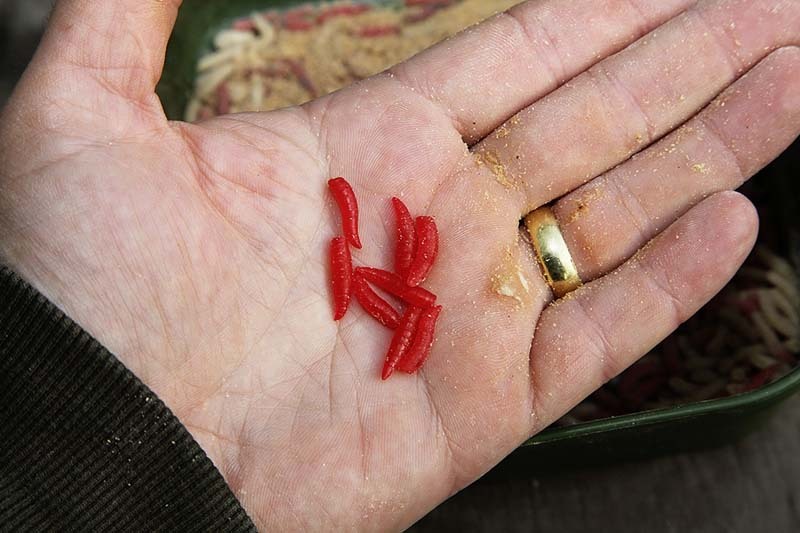 Q) Is it worth trying artificial maggots? They look so realistic but I’ve yet to use them as hookbait. A) They’re well worth trying if you are being pestered by small fish, as you know there will always be something that looks edible on the hook. I’ve caught a lot of chub and barbel on pleasure sessions with this tactic, using one or two artificial maggots. Bear in mind that artificial baits are banned in matches but allowed in pleasure sessions. Q) I keep getting tangles when I use Bolo or Avon floats. I use three or four shots below the olivette but it’s frustrating, as the line ends up in a bird’s nest as often as not! What am I doing wrong? A) You need to change your shotting pattern for starters. Just use an olivette 2ft from the hook with one dropper fixed 10ins above the hook and it wont tangle. If it’s windy, always cast off the side that the wind is blowing to, as this, too, will eliminate tangles. 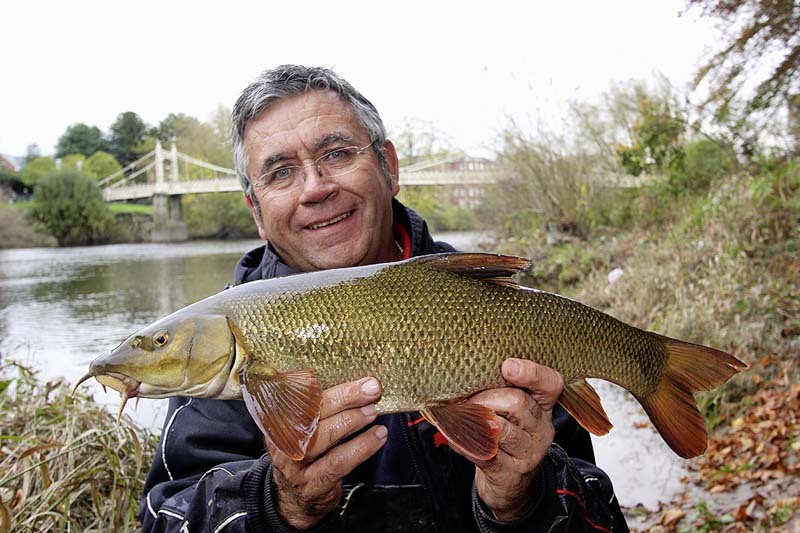 Q) I fancy doing some river perch fishing before the season ends. What baits should I use? A) Perch are greedy fish and they will eat all livebaits, but for best results use chunks of lobworm or even a whole one. Perch love them! Q) Am I better using painted cane or hollow tips on my Bolo floats? I always thought that cane was supposed to be the best. A) I used to use painted cane tips, but don’t carry any now. Hollow tips are the best, as you can see them so much better, especially if there is any sun on the water. Q) I’ve been following water temperatures on the River Severn matches Facebook page and it’s been between 4°C and 5°C recently. Will I be able to catch barbel with it as low as this? A) While not impossible, I think you could be in for a struggle trying to catch barbel until the water warms up. You’d be better off targeting chub while it stays cold, and going for barbel when it’s up to at least 8°C. Q) I fish a lot of fast-flowing rivers but I’m confused about waggler choice. Should I use a Speci or Truncheon design? A) If your swim is fast and shallow (3ft to 4ft) you should use a Speci Waggler, as the short design is perfect for these depths. If your swim is over 4ft and up to around 8ft deep the Truncheon Waggler is better because it is longer and easier to control, especially if it’s windy. Q) I love catching big roach and had a lot of success with seed baits in the summer. Is it worth using tares on the hook in the winter? A) I, too, love big roach and have caught loads on tares in the summer months but not in winter. 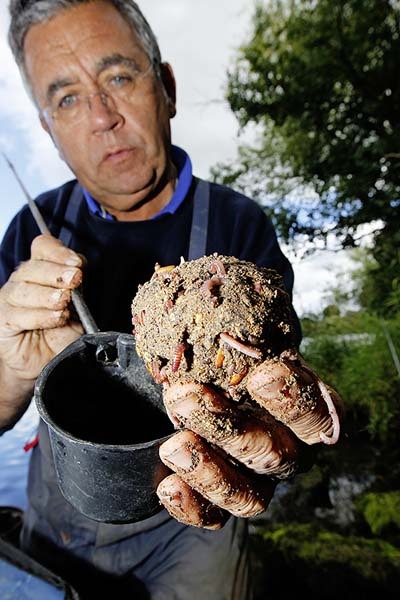 I think you’re better off using maggots or casters when the temperature is down. Q) I’ve noticed that you use a lot of soil in your groundbait mixes. Why is this? A) I’ve used soil in my groundbait for many years. It gives the mix weight, which is important if the river is flowing quickly. I add about three pints of soil to two 1.5kg bags of groundbait.